It's NEVER too young to start swim lessons. In a recent statement, the American Academy of Pediatrics (AAP) recommended parents start swimming lessons for their children beginning at age 1. “Research has found that swim lessons are beneficial for children starting around age 1, and may lower drowning rates,” says Linda Quan, M.D., F.A.A.P., a co-author of the policy statement. The statement also says, the "AAP will also publish new information for families on its website for parents, HealthyChildren.org, including water safety advice based on children’s developmental stages, and recommendations on choosing a good learn-to-swim program." Does your child know how to swim? Don't overestimate his ability. A child will look at a swimming pool or an ocean and not be able to comprehend the risk. If not, it's time to make a plan. The younger a child is, the easier he is to work with in the water because they haven't developed a fear of the water yet, swim instructors say. Knowing that swimming is the only sport that can actually save your child's life, don't put those important lessons off any more. Read on to find a class near you! Home of Nashville’s only indoor/outdoor heated saltwater, six-lane, Olympic-sized pool, Boost offers private and group swim lessons for kids of all ages in one-, four-, eight- and 16-session options. Offers Parent & Me Class (ages 6 - 35 months), Parent & Me Plus Class (ages 18 - 35 months), Terrific Twos Class (2.5-year-olds), Novice Swim Prep Class, Developing Swim Prep Class, Advanced Swim Prep Class, Middle School Prep Group (Grades 5 - 8) and even adult swim. Utilizing the swim-float-swim method, several group lessons are available for kids: Water Babies (ages 6 - 18 months), Water Tots (ages 19 - 36 months), Super Sharks (ages 3 - 4), Advanced Super Sharks (ages 4 - 5), Junior Sharks (ages 6+), Tiger Shark University Level 1 (ages 5+) and Tiger Shark University Level 2 (ages 6+). Howard’s Hope provides economically disadvantaged children ages 3 - 12 with access to aquatics safety lessons and water survival skills training. The next session for ages 6 - 12 runs April 17 - May 8. The PreComp Program for ages 3+ is a technique-based learn-to-swim practice group utilizing the combined core principles of the Swim America Program and the NAC Competitive Team. Group lessons for children include Parent/Child (ages 6 months - 3 years), Preschool (ages 3 - 5), Level 1 (Ages 4+) and Level 2 (ages 6+). Offers private swimming lessons at several locations in Middle Tennessee as well as non-competitive swim teams. Swim lessons include sessions for kids, toddlers and even Mommy & Me. The parent/child swim program introduces ages 6 - 36 months to the joys of swimming. The youth program for ages 3 - 12 teaches kids to become skilled swimmers. Now in its 15th year, Nashville Dolphins is an aquatics program for children (and adults) with special needs. The program serves more than 200 individuals of all ages and abilities, from beginners learning to kick their little feet and blow bubbles in the water to swim team members who compete in Special Olympics. Nashville Dolphins maintains a no age-out policy, and there is zero cost for participants. The program gets its funds through community donations, grants and special fundraising events throughout the year like the Boots & Bubbles crawfish boil on Saturday, April 28 (see website for details). You can submit your child’s application anytime during the year. There are currently four 8-week sessions; two in the fall, two in the spring. Nashville Dolphins is located at 95 White Bridge Road, Nashville. Call 615-866-9971 or visit nashvilledolphins.org. The learn-to-swim program provides one-on-one instruction for ages 6 months and older. They also offer mommy and me swim classes. Excel Aquatics offers swim group and private lessons at three Murfreesboro locations — MTSU Pool (1848 Blue Raider Drive), Sports*Com (2310 Memorial Blvd.) and Patterson Park Community Center (521 Mercury Blvd.). Classes include Swim U, Beginner 1 and 2, Advanced 1 and adult lessons. In addition, there are swim lessons for younger kids including the Parent/Tot class for ages 12 - 36 months and Starfish Swimmers Survival Swim for ages 6 months - 3 years. Find a detailed list of each level of swim classes at the website. Howard’s Hope is a non-profit charity dedicated to providing youth in Middle Tennessee with access to programs in the areas of health, education and recreation with an emphasis on water survival training and aquatic safety. Howard’s Hope offers two aquatics programs: The Flying Fish and The Angelfish. The Flying Fish Program provides the funds necessary for children from economically disadvantaged households to participate in formal swim lessons. The Angelfish program is for parents who can pay for their child to have the formal swim lessons as well as sponsor a child in the Flying Fish Program — a minimum donation is required, (call for details), which covers the cost of one registered child plus lessons for a disadvantaged child. Lessons are held at Middle Tennessee State University Campus Recreation Center located at 1848 Blue Raider Drive, Murfreesboro. Private and group swim classes are available for ages 6 months and older. The parent/child aquatics (parents must be in the water with children) is for ages 6 months - 3 years, three levels of preschool aquatics for ages 4 - 5 and six levels of the Learn-to-Swim classes for ages 6 and older. Day and evening classes that are approximately 60 minutes long, take place Monday – Friday available from June – August in a heated, salt water pool that’s designed for teaching beginners to learn to swim from 6 months old to adult. They offer a Parent and Child Aquatic Program (PAC) for ages 6 months - 3 years as well as six other levels for older kids. Group swim lessons run Mon - Fri June 4 - 8, June 11 - 15, June 25 - 29, July 9 - 13, July 16 - 20, July 30 - Aug. 3 and Aug. 13 - 17 for ages 5 and older. Beginner Level Classes, Beginner Stroke Classes and Advanced Stroke Classes are available for all ages. Lessons run mid-May through July. Private lessons are only held in Aug. The parent/child swim program introduces ages 6 months - 3 years to the joys of swimming for the first time under the care and love of their parents. The preschool swim lessons teaches ages 3 – 12 the fundamentals of swimming. The adult lessons are for ages 13 and older. Swim lessons for ages 3+ available in three different packages in 30-, 45- and 60-minute sessions. Also available is the Infant Swimming Resource (ISR) program for ages 6 months – 6 years old. Group swim lessons available in several sessions throughout the season for ages 4 – 12. Instructors are either Ellis or American Red Cross certified. Registration opens May 1. Session 1 is June 4 – 7 from 5 – 5:45 p.m., Session 2 is June 11 – 14 from 9 – 9:45 a.m. and Session 3 is July 19 – 22 from 9 – 9:45 a.m. Cost is $75 per session. Sea Star offers parent/child, beginner swim, lap swim, Little Flippers, Barracudas and more. Summer Quarter 1 is April 30 – June 16; Quarter 2 is June 18 – Aug. 4. New for 2018 are mini quarters for ages 3+ that are designed around a family’s busy summer schedule. These shorter-session installments include seven classes, with options taking place between May 29 – Aug. 2. The parent/child swim program introduces ages 6 – 36 months to the joys of swimming for the first time under the care and love of their parents. The preschool program teaches ages 3 – 5 the fundamentals of swimming. The youth program for ages 6 – 13 teaches kids to become skilled swimmers. Year-round, ongoing small group swim lessons are available beginning at 3 months old and are all-inclusive, too! The different programs include Tadpole (ages 3 – 36 months with parent in the water); Swimboree (ages 3 – 36 months with parent in the water); Seahorse (ages 18 – 36 months); Starfish, Minnow, Turtle 1, Turtle 2, Shark 1 and Shark 2 (ages 3 and older); Barracudas Swim Team and adult classes. Lessons are held indoors in a heated pool. Excel Aquatics offers group and private lessons at five Williamson County locations — Brentwood Indoor Sports Complex and the recreation centers in Franklin, Longview, Nolensville and Fairview (wcparksandrec.com ). Classes include Swim U, Beginner 1 and 2, Advanced 1 and adult lessons. In addition, there are swim lessons for younger kids including the Parent/Tot class for ages 12 – 36 months and Starfish Swimmers Survival Swim for ages 6 months – 3 years. Find a detailed list of each level of swim classes at the website. Goldfish Swim School is Tennessee's first location opening Spring 2019. Swim lesson pre-registration is open now for ages 4 months - 12 years. Goldfish offers a confidence-building curriculum. It also has a 4:1 student-to-teacher ratio for group lessons. Kids learn how to swim in a shiver-free, 90-degree pool. Class times are flexible. Other swim lessons available include: Parent/tot mini class (starts at 4 months); Advanced baby (ages 36 months and younger, where the parent does not get in the water); Casual swim lessons; Family swim sessions (available to both members and non-members). Private and group swim lessons available. Kids Progressive Lessons are for ages 4 months – 12 years. There’s a swim team for ages 5 and older open to all abilities as well as kids’ clinics throughout the year. Prairie Life now offers morning group swim lessons beginning Tuesday, April 17. Lessons are held Tuesdays and Thursdays from 11 – 11:30 a.m. or 11:30 a.m. – 12 p.m. It also offers Mini’s Swim Team for ages 4 – 6, which provides instruction for swimmers getting on a team. After Mini’s, kids can move onto the older swim team for ages 5 – 18. Private, semi-private and group swim lessons available for ages 18 months and older are held at two locations — Lynnwood Downs (2000 Lynnwood Drive, Franklin) and Fieldstone Farms (501 Black Horse Pkwy., Franklin). Lessons run May – August. The parent/child swim program introduces ages 6 months – 3 years to the joys of swimming for the first time under the care and love of their parents. The preschool swim lessons teach ages 3 – 12 the fundamentals of swimming. Adults lessons available for ages 13 and older. 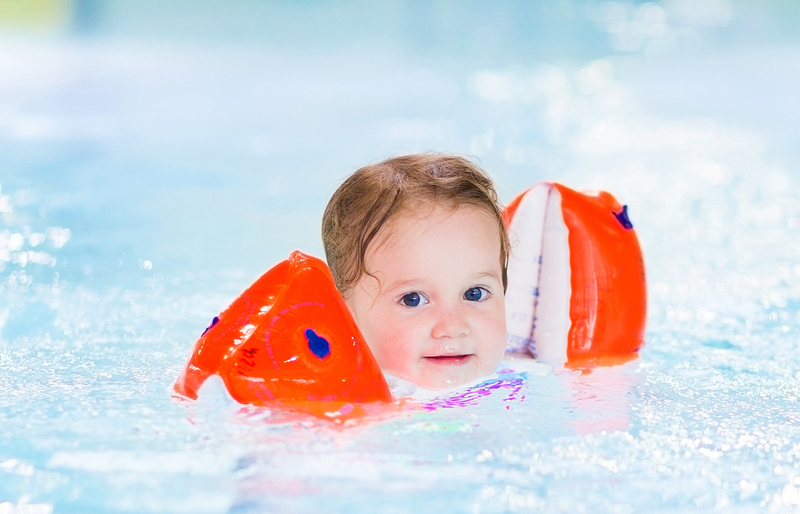 Swim classes for babies, toddlers and kids of all ages. Swim lessons for ages 6 months - 2 years in the Guppies & Gold Fish classes (parent with child), ages 3 - 4 in the preschool aquatic classes and ages 5+ in the learn to swim levels for beginner swimmers. Lessons for ages 6 months and older follow the American Red Cross Learn to Swim program guidelines.